This simple Greek Yogurt and strawberry based cheesecake-like dessert is inspired by the one I had recently in a restaurant during breakfast buffet. It can actually be served for breakfast as well. It is very easy to make with just a few ingredients. 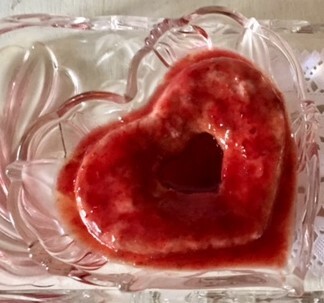 You can replace the strawberries with blueberries, cherries, raspberries, red currants or a mixture of assorted berries...bake a heart shape for your valentine or just bake in ramekins for single serving or a large dish for a party. I am sure everyone is going to love it. It can also be served plain without the strawberry crush / compote... choice is yours. This is the first post of the year 2017. 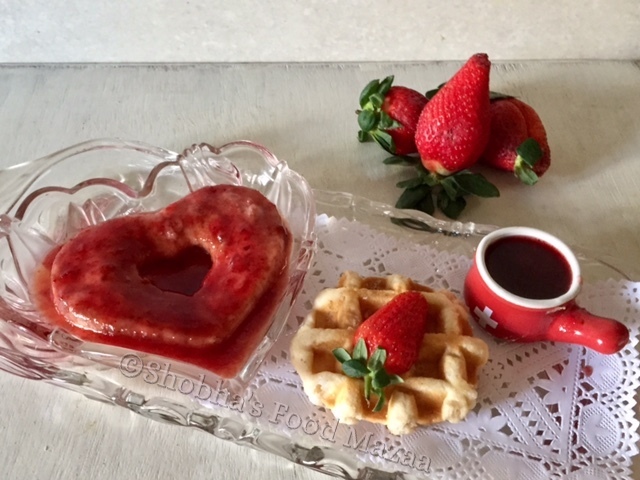 I made this for the Valentine / Red Theme in the group, " Shhhh Cooking Secretly Challenge " . I was paired with Rafeeda A R who blogs at The Big Sweet Tooth . She gave me the two secret ingredients - Strawberries and Yogurt . 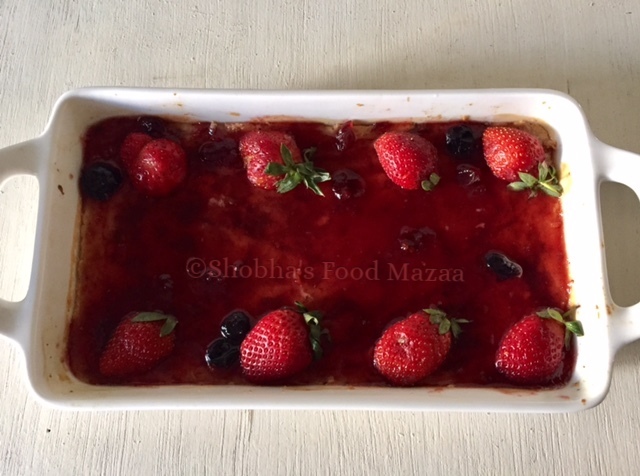 I was very happy as it is strawberry season now in India and was wanting to make something nice with them. 1. Crush the strawberries coarsely. 2. In a bowl mix together the yogurt, corn starch, cream and condensed milk. Stir in the crushed strawberries. 3.Take a heart shaped or any baking tin and spoon the mixture. Place it in a large baking dish and pour hot water around till it reaches more than half the sides of the dish that you are baking in. 4.You can even bake in individual ramekins. 6. Allow it to cool completely at least for a couple of hours before de-moulding it. 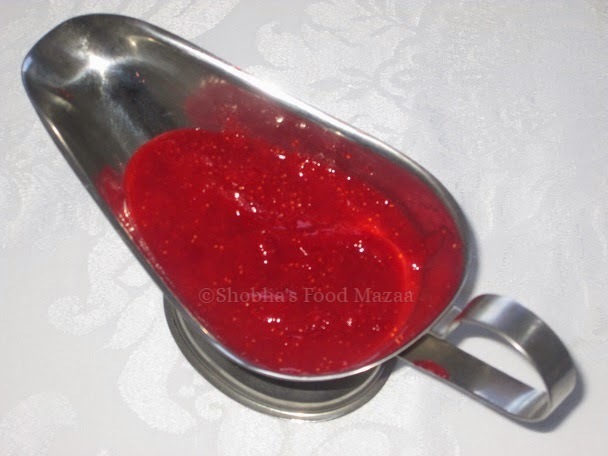 You can garnish with strawberry crush / compote and some sliced strawberries. Wash and cut the strawberries. Blend them in a mixie. Cook them in a thick bottomed pan adding sugar. Stir continuously until the sugar is dissolved and the texture is thicker. Let it cool. Add the kirsch at after cooling if you like it. Thanks for liking it and looking forward to your post. 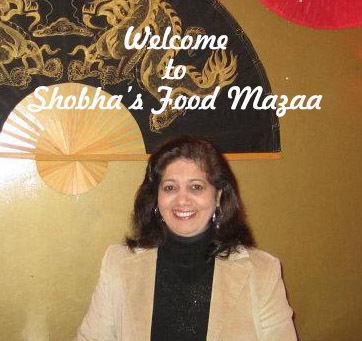 Wow Shobha - this sounds like a perfect dessert. Easy to make with ingredients readily available here. Love LOVE your twist of Baked Yogurt! My all-time favorite..
Hi Bharathy.. I had been a bit busy and now back into blogging. Thanks for responding so fast. Such a lovely dessert. I love baked yogurt and will definitely try strawberry baked yogurt soon. Thanks Mayuri.. you can try with any fruit of your choice. Such a pretty and divine dessert! Great for any celebration! 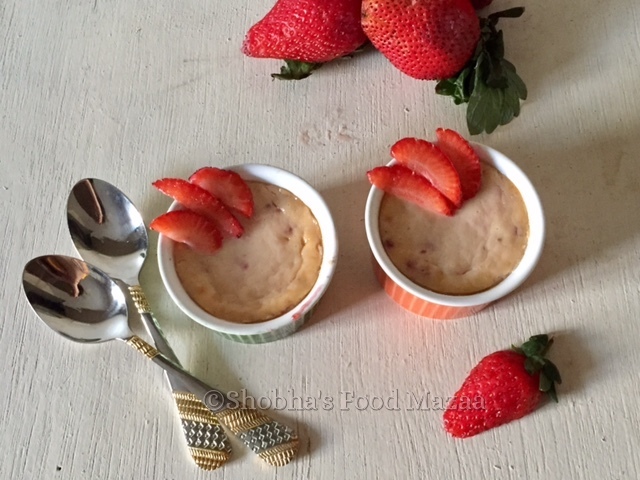 Love baked yogurt and adding strawberry makes it even more tempting. wow... baked yogurt looks awesome... thanks for sharing.. Happy Valentines day in advance, you will definitely steal your partners heart with this awesome dish. It looks delectable.